This supplement (endorsed by the estate of Conan Doyle) to the Sherlock Holmes canon is as much a treat for exacting Holmesians as it is for anyone who loves a good mystery. A white silk ribbon is all that connects Irish gangsters, child murder, and a secret that people in high places will stop at nothing to protect-- and Holmes stop at nothing to uncover. Breathtaking thrills, classic Conan Doyle-like touches, and at the heart of the tale, Holmes' and Watson's complex & enduring friendship. A delight. "Horowitz truly pulls off the wonderful illusion that Arthur Conan Doyle left us one last tale." --"San Diego Union Tribune"
London, 1890. 221B Baker St. A fine art dealer named Edmund Carstairs visits Sherlock Holmes and Dr John Watson to beg for their help. He is being menaced by a strange man in a flat cap - a wanted criminal who seems to have followed him all the way from America. In the days that follow, his home is robbed, his family is threatened. And then the first murder takes place. 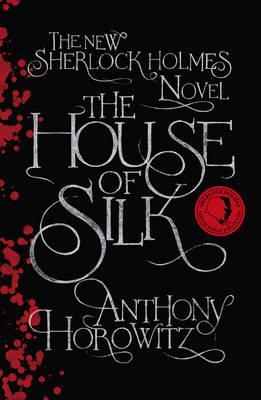 THE HOUSE OF SILK bring Sherlock Holmes back with all the nuance, pacing, and almost superhuman powers of analysis and deduction that made him the world's greatest detective, in a case depicting events too shocking, too monstrous to ever appear in print....until now. Anthony Horowitz is the #1 "New York Times" bestselling author of the Alex Rider series and the award-winning writer of PBS's "Foyle's War," "Collision, Injustice" as well as many other film and television projects. He lives in London.